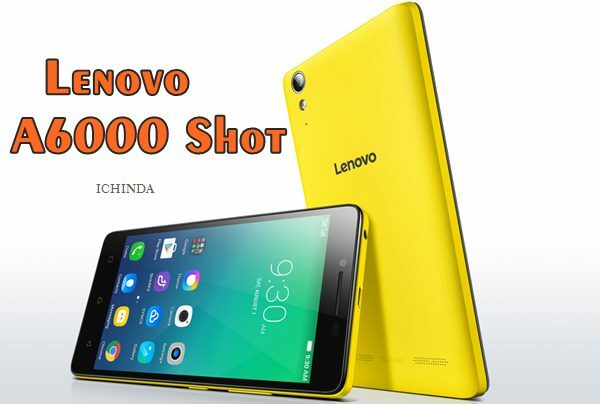 To counter Xiaomi, Micromax, Intex and Samsung in budget phone market, Lenovo has launched the all new Lenovo A6000 Shot in Indian market priced at Rs. 9,999 will be available from 4th Nov. in Onyx Black, Pearl White, and Carmine Red colour options. Now you can pre-order through Lenovo official website. Lenovo also launched Lenovo A1000(Rs 4,999), Lenovo K3 Note Music 4G(Rs 12,999). Lenovo has recently launched Lenovo A7000 Plus in China soon going to launch in India priced under Rs 10,000. The all new Lenovo A6000 Shot supports Dual-SIM(MicroSIM), 4GLTE, 3G, GPRS/ EDGE, Wi-Fi 802.11 b/g/n, GPS/ A-GPS, Micro-USB, and Bluetooth with Speed: LTE 150Mbps (DL) / 50Mbps (UL) comes with a bigger 5”-inch HD (720×1280 pixels) IPS display with a pixel density of 294ppi for superior gaming experience and picture quality powered by a Qualcomm’s Snapdragon 410 quad-core SoC processor clocked at 1.2GHz and latest Android 5.0 Lollipop) with 2 GB RAM, 16GB Internal memory and 32GB expandable memory promising blazing multi-tasking. Lenovo A6000 Shot also offers you dual-powerful camera which includes a 13-MP auto Focus Rear camera with LED flash for shooting promising superior photography in low light and 5-MP front camera best for video calling and selfies. Lenovo A6000 Shot never let you down because of it’s powerful 2300mAh battery with Quick Charge promising Talk Time up to 24 hours, Standby Time up to 348 hours measures 140.90 x 70.50 x 8.40 mm and weight 130gm while new Dolby Atmos audio technology is perfect for listening music. At last few honest word, Lenovo A6000 Shot is the best budget Smartphone under Rs 10,000. What you think? Please be open to give your view.